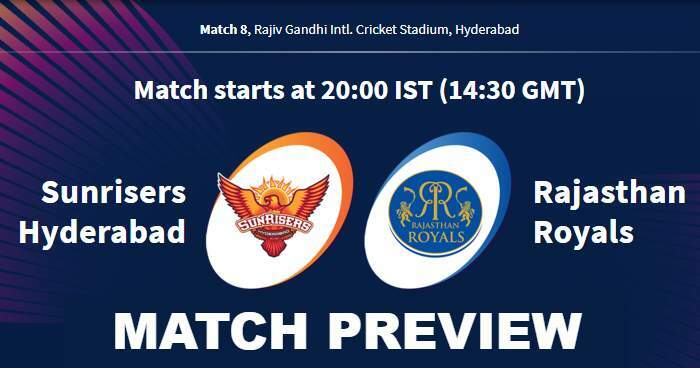 Sunrisers Hyderabad (SRH) will take on Rajasthan Royals (RR) in the 8th match of IPL 2019 at Rajiv Gandhi International Cricket Stadium, Hyderabad on 29 March 2019. As far as weather is concerned, the temperature will be below 30°C during match hours with dew later in the match. Hyderabad has predictably flat and dry pitch, with a tinge of grass to hold it together. Likely to slow up in the last few overs, so the slower ones at the death will be as useful as the foot-squashing yorkers. Both teams are yet to open their account this season. Their opening games had seen a similar pattern. Having been in dominating positions for most parts of the match but lost grip on the contest and ended on the losing side. Sunrisers Hyderabad will see the return of their skipper, who didn't play the last match due to shoulders injury have been recovered and will be available for selection. As a result, Jonny Bairstow could be dropped. Rajasthan Royals are likely to play with the same side that took the field in the match against Kings XI Punjab. 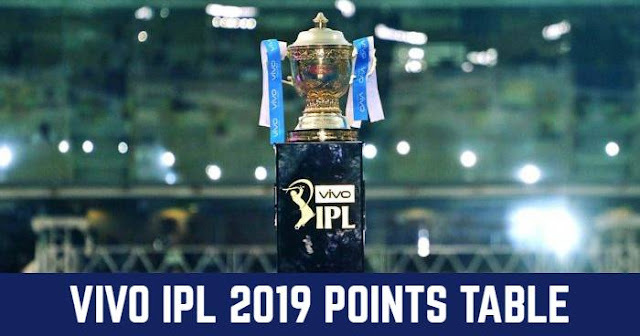 Both onetime champions Sunrisers Hyderabad (SRH) and Rajasthan Royals (RR) had played 9 matches against each other in the Indian Premier League (IPL). Sunrisers Hyderabad made their IPL debut in 2013 and Rajasthan Royal was suspended for two years and made their comeback in IPL 2018. With 9 games against each other Rajasthan Royals have won 4 matches and Sunrisers Hyderabad have won 5 matches. In the last 5 matches between Sunrisers Hyderabad and Rajasthan Royals, Sunrisers Hyderabad have won 4 matches including 2 matches of last season of IPL and Rajasthan Royals have only won 1 match. At Rajiv Gandhi International Cricket Stadium, Hyderabad Sunrisers Hyderabad are undefeated against Rajasthan Royals in 2 matches. Sunrisers Hyderabad have an 11-3 win-loss record in IPL matches at the Rajiv Gandhi International Cricket Stadium since IPL 2017. The Rajasthan Royals had a poor record for away matches in IPL 2018; winning only 2 matches of the 8. Bhuvneshwar Kumar has dismissed Ajinkya Rahane 6 times in IPL, more than any other bowler in the IPL.